If you’re the parent of a four-legged friend, you know the love you feel for your dog or cat is quite similar to the love you feel for any member of your family. You feed your dog, walk your dog, maybe even dress your dog, and you want to take your dog on all kinds of adventures including trips to the local park and maybe even on vacation. As fun as it is to have your faithful buddy by your side on errands and trips outdoors, it’s vitally important to secure your pet properly in your vehicle for his and your safety and the safety of other drivers, cyclists and pedestrians. Pets that are not properly restrained in a moving vehicle can pose a serious threat to your safety and that of others sharing the road with you. There are so many affordable types of restraints and car seats for dogs these days. You no longer have to depend on only a travel crate to secure your feline friend or canine companion when you drive. 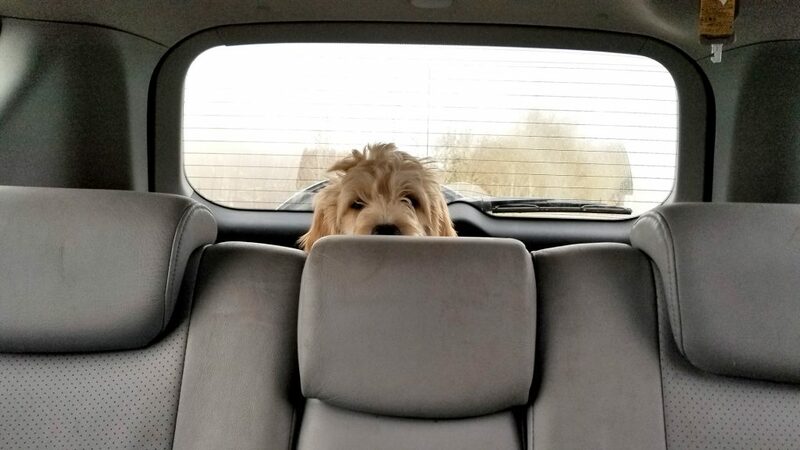 There are car seats with seat belts, seat harnesses that go around your dog and secure him to his own seat, and there are even mesh enclosures to keep your dog safely secured in the back seat or hatch back of your vehicle so the kids and other family members can enjoy all the available room in the back seat. According to the National Highway Traffic Safety Administration (NHTSA), about 3,450 people were killed due to distracted driving in 2016, and 391,000 were injured in car accidents involving distracted drivers that same year. During daylight hours, according to the NHTSA, approximately 481,000 drivers use cell phones while driving. When an unrestrained pet is added into the scenario, the degree of danger involved increases exponentially. There are three types of distractions while driving: Visual, manual, and cognitive, and using a device such as a cell phone involves all three types of distraction. Looking down to send a text or receive a text while traveling 50 mph has been likened to driving the length of a football field while blindfolded—something that sounds so dangerous, no one in his right mind would ever do it. A pet moving about in a car results in the same three types of distractions: Visual, manual, and cognitive. When a pet moves abruptly while the car is in motion, the driver may need to look at the pet (visual), try to restrain the pet (manual), and figure out a better way to safely travel with the pet (cognitive). This can all happen in a few seconds, but the horrifying outcome may result in a lifetime of emotional, physical, and financial pain if a car accident occurs because of an unrestrained pet. Next time you’re at the pet store or shopping online, simply look up “pet restraints for cars”; you’ll be amazed at the number of options available for pets of all shapes and sizes.